As a boutique full-service caterer, we produce one-of-a-kind experiences with food, beverage, design, and hospitality for corporate and social clients. 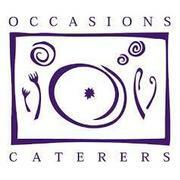 Occasions operates in the area’s most celebrated venues, institutions, museums and properties and has been recognized as Washington’s premier catering firm for over 30 years. The Food Expeditor is responsible for gathering and organizing food from the kitchen and pastry departments, and packing it for transportation to event sites. The Assistant Food Expeditor will work with the Expediting Manager and Sous Chefs to check both the quality and quantity of the food that has been prepared. Ensures food is packed in accordance with the delivery timeline. Expediting, storage and handling of food and kitchen smallwares. Safely expedite food per HACCP requirements. Correctly check food product for quality and quantity control based on items listed per event prior to expediting. Check event menu against food to be delivered and alert Kitchen of any discrepancies. Properly store product in expediting walk in and dry storage area until the time of delivery. Report any malfunctions or repairs needed to refrigeration and food storage areas to VP of Operations. Promptly notify Kitchen and VP of Operations of late deliveries or any serious issues with the products. Keep all areas of expediting clean, well-organized and properly maintained at all times. Maintain all food temperature logs. This is a part-time position. Days and hours of work are generally Monday through Friday, 6:00 a.m. to 2:30 p.m. with some weekends and holidays based on business demands. Two (2) or more years of experience in warehousing, receiving, expediting, inventory control or materials management. Experience in the food service, hospitality or catering industry preferred. ServSafe certification preferred but not required.